“And then there’s the admin fee of…” and your heart sinks just a little bit. “Admin fees! ?” I hear you cry. It’s rubbish, I know, but there is a reason you have to pay the admin fee. I’m going to explain the reasons behind that admin fee so that you can feel a little better knowing it’s not just ‘another expense’ but actually a worthwhile investment into giving yourself the best experience possible. Do All Vehicle Brokers Have Admin Fees? Yes, they do, but not all of them call it that. In the vast expanse of the Internet, there are dozens of vehicle brokers with a wide variety of prices and fees associated with them. But, some of them say they don’t have an admin fee. The truth is, they do, they just don’t say it’s an admin fee. 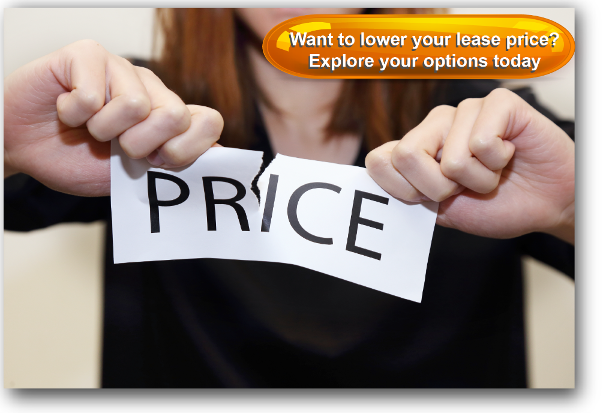 Taking someone through the journey of leasing a vehicle is a very lengthy process. If you’ve ever leased a car, you’ll know there is a lot of paperwork and back and forth with finance houses and manufacturers getting the best quotes. And then, of course, there’s organising the delivery. All of this takes time. A lot of time. And resources. If someone is offering to organise your lease vehicle at no cost to them, they are lying. The reality is, they’re not going to do all that work for free. The way they get away with it is putting all of their profit on the deal, which means there’s no way you’re going to get the best bang for your buck. It’s much better to go with a company with complete transparency and are honest about where they get their money from. What Does a Broker Need the Admin Fee For? Resourcing costs associated with making sure only the best people deal with the customers. How Much Will the Admin Fee Cost? We’d love to say a definitive number for you here, but every company is different and so the best answer we can give is: it depends. The cost of time and resource will depend on the size and scope of the broker you are dealing with. Many brokers are very small and sometimes operate from home, which means that they tend to keep costs minimal. Other brokers will have larger teams and in some cases specific customer support staff who can focus on helping you with your order every step of the way, incurring a higher cost. The Financial Conduct Authority rules mean that management teams should do regular audits and call monitoring for all of the sales people; this is a significant time investment and therefore has a cost implication, but is ultimately in place for customer protection. Another important factor that contributes to the admin fee is the broker membership to the British Vehicle Rental and Leasing Association. This membership ensures that your broker will adhere to a very specific code of conduct, which we will talk about in a bit. Many sales people are keen to secure the deal, but don’t pay close attention to details after the sale has been concluded. In our experience, customers have appreciated having a dedicated customer service/admin team who can process their order efficiently, but you can’t get that level of experience for free I’m afraid. It really depends on how much you’re willing to jeopardise for the lower price. Sure, you can only pay £50 admin fee, but if there’s a problem and there’s no-one to answer your call, is it really worth the money you’ve saved? I would always recommend caution when dealing with companies that don’t appear to charge an admin fee, as there could be implications on service standards or surprising costs that have not been fully discussed but are hidden in the smaller details. The key to this is trust. If the broker can explain why they have a processing fee, then this is significantly different to a broker who cannot justify their costs and do not seem to have any additional benefits for this cost. Essentially, you need to do your research. Always ask the question, and if you’re not getting the right answer, find another company. What’s the Financial Conduct Authority? 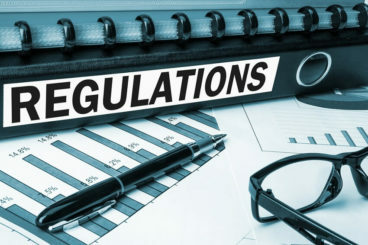 If you go through an FCA regulated company then you can be sure that you are dealing with a broker who has up-to-date training and all the essential knowledge when it comes to financing deals. What is the British Vehicle Rental and Leasing Association? If your vehicle broker is a member of the BVRLA then you can be sure that they will be putting your needs first. However, this does come at a cost, and sometimes that cost is covered in an admin fee. The cost of these two accreditations does contribute to the admin fee, but paying a premium price is worth the premium service. We’ve only touched upon these accreditations but we have written an article on what accreditations you should look for when choosing a vehicle broker, which goes into much more detail. Ultimately, you will have to pay an admin fee, but the cost is worth it. Industry experience and in depth knowledge will often mean that the broker can obtain better pricing and will also understand the potential pitfalls and risks, therefore protecting customers from the unexpected terms and conditions. If you are dealing with an expert, they will be able to back up their suggestions and recommendations and have a very clear understanding of how that vehicle and finance method will benefit you as a customer. Regardless of how cheap a deal is, most of the time, a customer’s top priority is getting the right car. It would be very disappointing to end up with the wrong vehicle and be stuck with it simply because the process seemed more attractive without an admin fee. We hate mentioning that things may go wrong during your leasing journey, but these things do happen sometimes. The expertise you are paying for with a higher admin fee (so long as they’re credible), will more than likely save you money in the long run, as well as a lot of time and hassle.